William Pulham (1760-1817) – Shoemaker, father of eight children, including James 1 and Obadiah Pulham. Lived ‘ at the poorer, West End, of Cumberland Street, Woodbridge, Suffolk. James 1 (1793-1838) and Obadiah Pulham (1803-80) – apprenticed as Stone Modellers to Master Builders John & William Lockwood, of Woodbridge. William Lockwood 2 – son of William – knew James 1 and Obadiah well, and later wrote a series of ‘Reminiscences of Woodbridge in Olden Times’. in which he wrote about each of them in some detail. 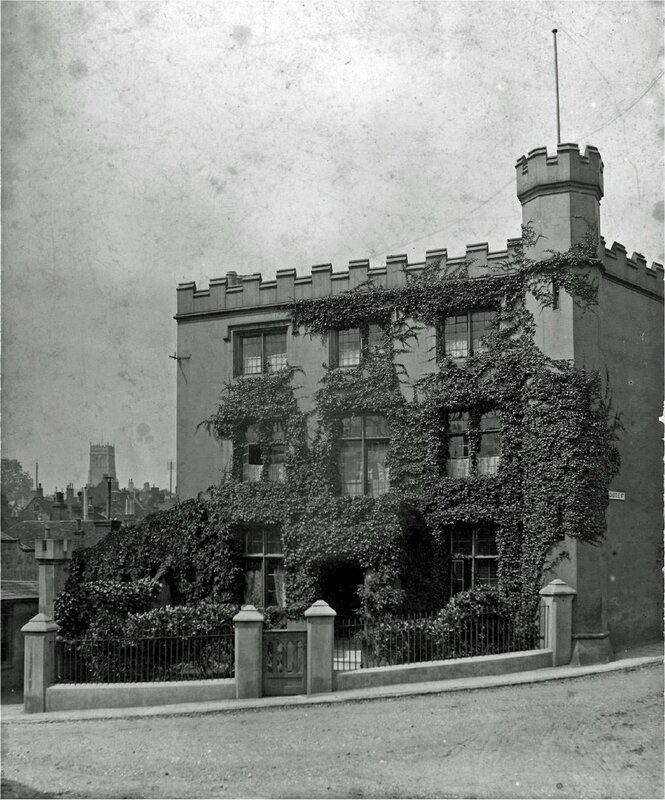 ‘Loclwood’s Castle’ – Battlemented house built by William Lockwood 2, and face with his new Portland Stone Cement. 22 Elder Street – William Lockwood’s first London Sales Office, in which he put James 1 and Obadiah Pulham in charge. ‘Black Bull of Holborn’ – modelled by Obadiah Pulham. Thomas Smith – Architect and County Surveyor of Hertfordshire and Bedfordshire, who specialised in the design and construction of gothic-styled churches and buildings around the UK and Europe. Engaged Obadiah Pulham as Clerk of Works in 1827. 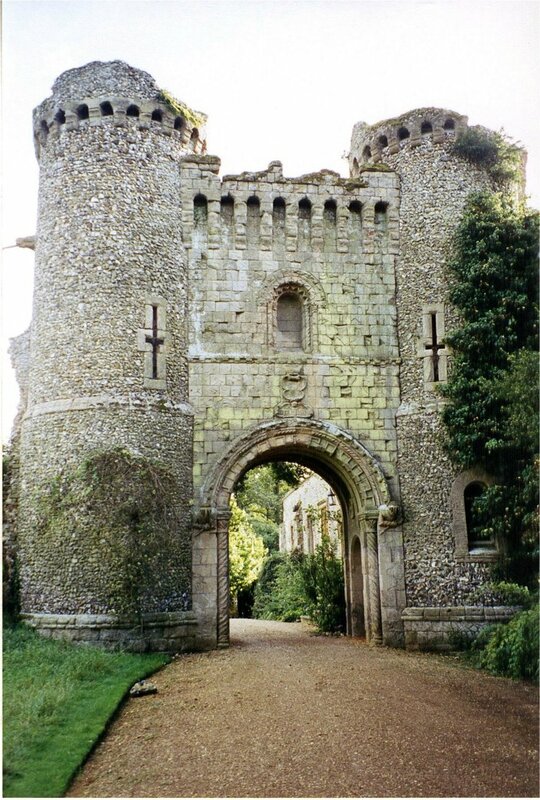 Benington Lordship – Manor house near Stevenage for which Thomas Smith designed a Norman Gateway folly and other extensions. James 1 was brought in to assist Obadiah Pulham with their construction 1835-38. A full description of the young lives and apprenticeship of James 1 Pulham and his brother, Obadiah Pulham – together with a number of pictures – can be found in Chapter 1 of Rock Landscapes: The Pulham Legacy – the definitive story of the lives and work of the four generations of the Pulham family. Written by Claude Hitching, with featured photography by Jenny Lilly. Published by Garden Art Press. Posted on August 19, 2014 June 26, 2016 by Claude HitchingPosted in Book ContentsTagged 22 Elder Street, benington lordship, Black Bull of Holborn, Claude Hitching. James Pulham and Son, James 1 Pulham, Lockwood's Castle, obadiah pulham, rock, Rock Landscapes: The Pulham Legacy, Thomas Smith - Architect and Surveyor, William Lockwood 2, William Pulham, Woodbridge - Suffolk. Previous Previous post: People and Places Featured in . . .